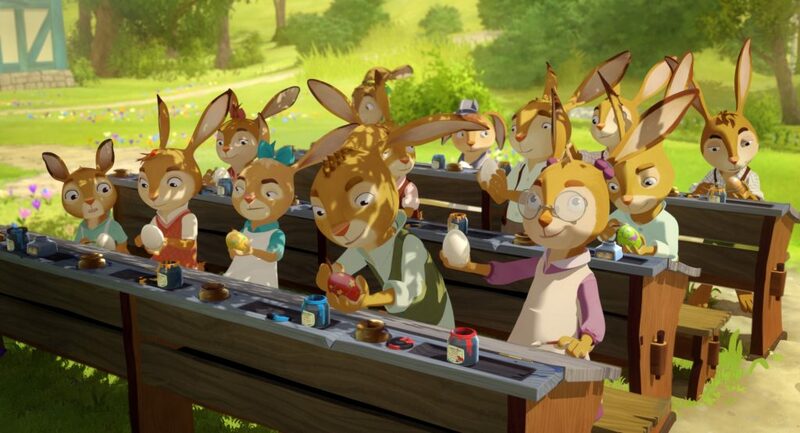 After rocking the big screen two Easters in a row, RABBIT SCHOOL – GUARDIANS OF THE GOLDEN EGG can now be seen on German and Austrian Free TV for the first time. 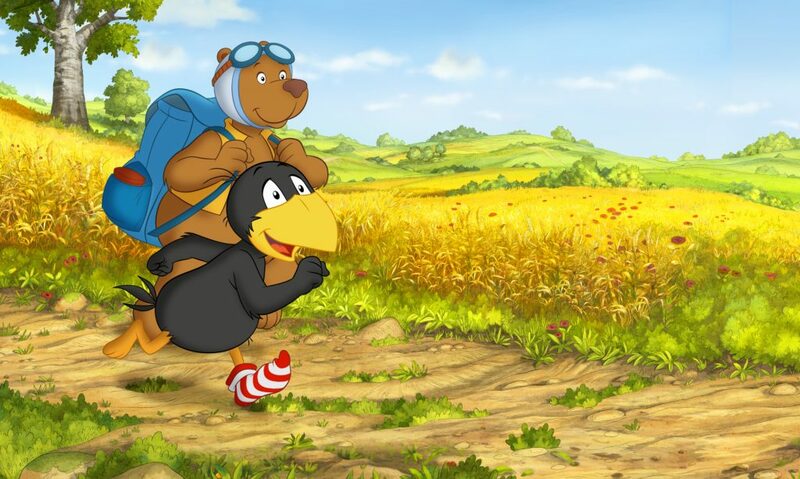 If you would like to join Max and his friends on his big adventure, you can tune in – on April 19th at 7:30pm and on April 21st at 1:30pm on KiKA, as well as on April 22nd at 6:25am on NDR and on April 21st at 8:35am on ORF. Akkord Film wishes Happy Easter! We are proud to announce that RAVEN THE LITTLE RASCAL – HUNT FOR THE LOST TREASURE was selected to take part in feature film competition at the “Golden Sparrow” film festival. Audiences can accompany Little Raven on his exciting treasure hunt June 3rd at 9 am in Gera and June 5th at 2 pm in Erfurt. The movie’s wide theatrical release in Germany will follow December 12th, 2019. World sales are handled by Beta Film. RABBIT ACADEMY – THE EGG FORCE going into production this year. The many supporters from Germany and Austria are Filmförderung Hamburg Schleswig-Holstein (FFHSH), Medien- und Filmgesellschaft Baden-Württemberg (MFG), HessenFilm und Medien, Film- und Medienstiftung NRW, Medienboard Berlin-Brandenburg, nordmedia Film- und Medienges. Niedersachsen/Bremen, German Federal Film Board (FFA), Filmfonds Wien (FFW), and Österreichisches Filminstitut (ÖFI). The Akkord Film team is looking forward to exciting collaboration with co-producers Arx Anima in Vienna, Seru Film, Universum Film and public ARD broadcasters NDR, SWR and HR. 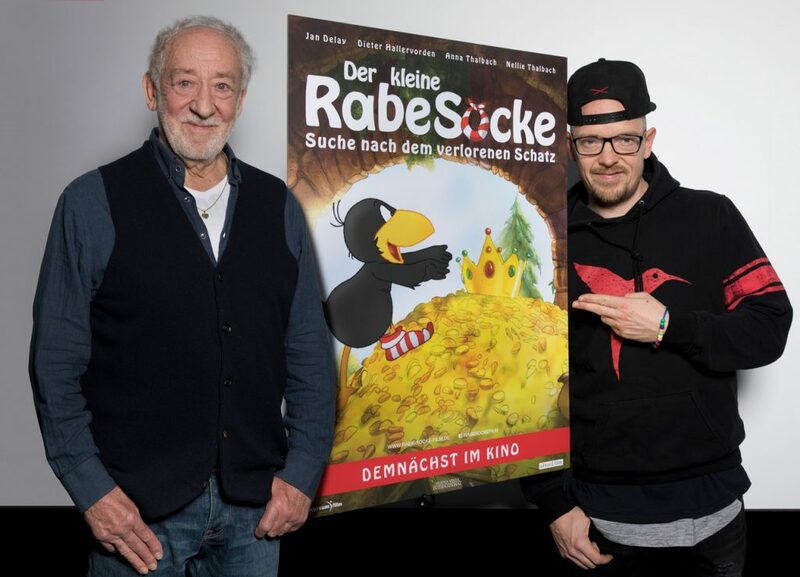 The German voice actors of Raven’s new movie adventure are currently having fun in the dubbing studio: This marks the third time that singer Jan Delay (right) lends cheeky Raven his unmistakable voice while Germany’s legendary actor, Dieter Hallervorden, speaks the role Grandpa Badger for the first time. Renowned actress Anna Thalbach can be heard as Mrs. Badger, while her daughter, Nellie Thalbach, voices Little Badger. World sales are handled by Beta Film. The turbulent treasure hunt will launch in German cinemas on December 12th, 2019. One year before theatrical release, journalists stopped by to take a sneak peek at the production of new animated feature film THE ELFKINS. 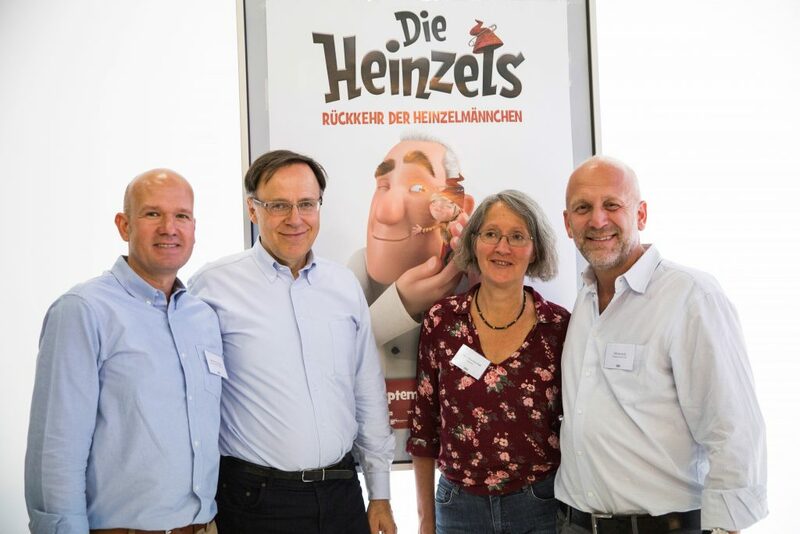 The filmmakers, together with director Ute von Münchow-Pohl and Professor Carl Bergengruen, the CEO of MFG Film Fund Baden-Württemberg, provided background information on the project and gave practical insight into the production process of a CG-animated feature film. On September 12th 2019, the ELFKINS will finally leave their underground home to conquer the cinema screens. Akkord Film nominated as “Producer of the Year”! Wow! 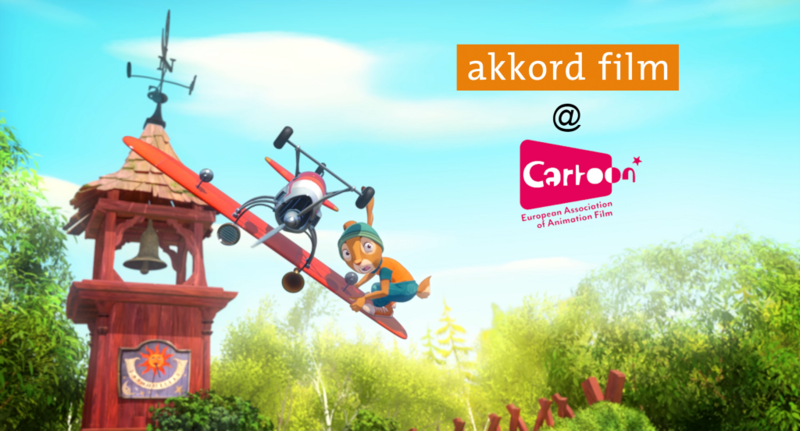 Akkord Film is among the 5 European film production companies nominated as “Producer of the Year” by CARTOON – European Association of Animation Film. The prize recognizes the work of companies and people that have contributed to the development of the European animation industry over the past year.